How Often Should You See Your Dentist In Long Island City? Preventive dentistry assists you in avoiding oral health problems such as cavities and gum disease. So, that’s why your dentist in Long Island City recommends six-month examinations and hygienic cleanings. Dr. Ishwinder Saran and his colleagues say this routine care preserves healthy teeth and gums and detects any problems while treatment is simple. Why See Your Family Dentist in Long Island City so Often? Your dentist is no stranger to dental health problems. Decay, abscesses, gum disease, bite problems tooth loss–unfortunately, he’s seen and treated a lot of them. 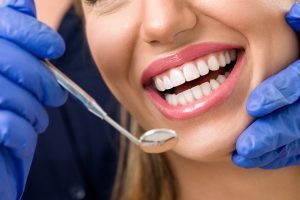 He knows some of the most devastating and expensive dental conditions could be minimized or avoided completely if all his patients got six-month exams and hygienic cleanings as advised by the American Dental Association (ADA). Additionally, as the ADA maintains, what happens in your mouth tells your dentist quite a bit a about the rest of the body. Often, signs of infection or bodily deficiencies show in the mouth before doctors diagnose it elsewhere. So, starting when a child receives his or her baby teeth and continuing through the senior years, semi-annual exams, X-rays and cleanings are the best rule. In addition, Drs. Saran, Bindner, Bizzell and Capozzi update the patient’s medical history and list of prescription medications. If needed, digital X-rays uncover hidden decay, abscesses or other problems not detected on visual examination. Then, your dental hygienist cleans and polishes the teeth, removing sticky plaque and hard tartar. Even with good brushing and flossing at home, this biofilm accumulates quickly from the foods we eat, and with it can come decay, bad breath and gum disease, a leading cause of tooth loss in adults. LIC Dental Associates uses the EMS Piezon ultrasonic scaler for the most comfortable and thorough cleaning you will ever experience. Your dentist welcomes your questions at exam time. The practice philosophy is this: all patients should be fully informed on their oral health and participate fully in their treatment plans. When was your last dental check-up? Please contact LIC Dental Associates to schedule your appointment. It’s an investment your healthy smile.